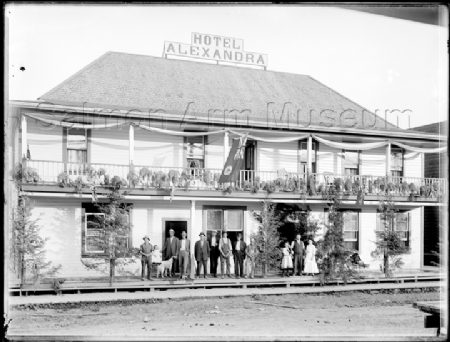 Hotel Alexandra on Hudson Street. 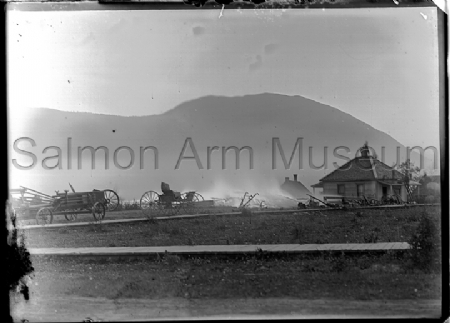 Carts and wagons in the yard of a house that appears to have been on fire; there seems to be smoke rising from the roof of the house. 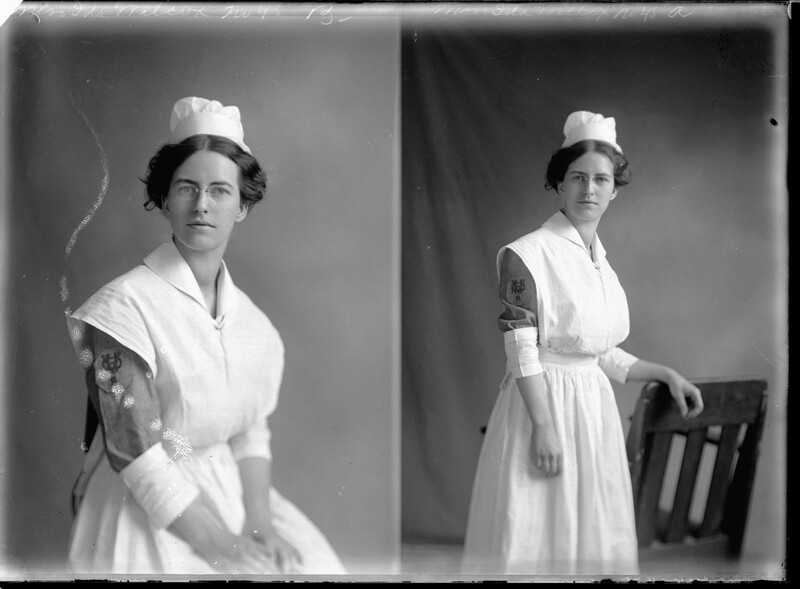 Nurse Ida Wilcox in her uniform. 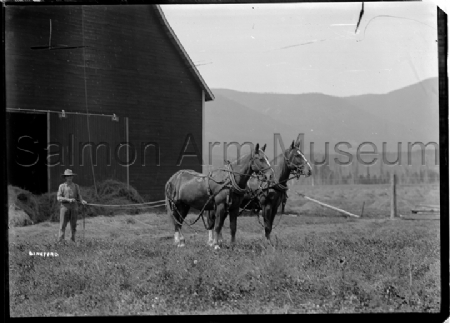 Ida married Billie Bain. 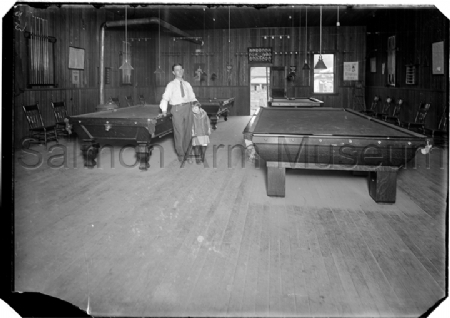 A man and young girl pose together in the pool hall. 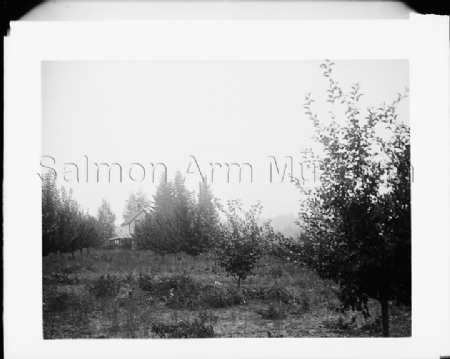 1909-1914. 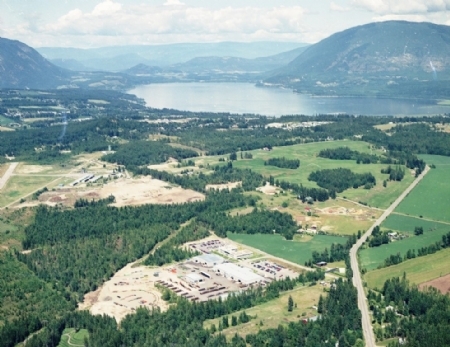 Aerial view of the Salmon Arm Industrial Park. 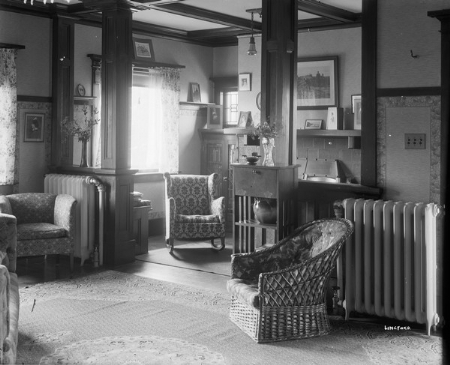 The interior of Bob Fortune's House, with wicker chair and all.